Make your surround sound system one-of-a-kind. 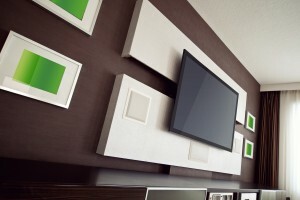 Your surround sound and audio system is what turns your boring home into an entertainment center. We provide all our surround sound and audio system clients with the best of the best when it comes to quality, commercial grade equipment, as well as installation and customer service. If you need help figuring out what type of audio system you want to be installed, or where it should be placed, our experts are standing by 24/7 ready to guide you through exactly what type of system and layout will be best for your home. Get the movie theater feel, in your living room! 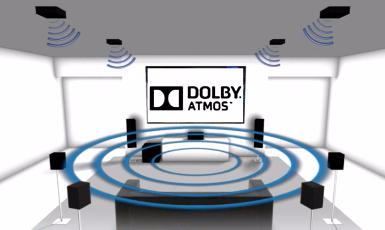 Our surround sound services are perfect for creating a home theater system that blows you away, making you truly feel like you are part of the film. With the availability of added subwoofers, you can really drive home the ‘total theater experience’ with a little extra bump in all your movie’s and/or music’s bass. With limitless speaker options and innovations for hiding your electronic equipment and wiring, McCray Communication has everything you need to make your space perfect. We’re the home theater installers who love home theater! We’ll bring you products you’ll love and provide a quality and professional installation that will set your standards to a new all-time high. We believe in being on time, providing quality home theater installation, educating our customers and building a relationship with our clients. So, what are you waiting for? Get the best for less with McCray Communications; call us today for your home estimate!